The CARSTAR proprietary EDGE Performance Group continues to drive performance improvements across the CARSTAR network through national repair processes, performance standards, and focused training on delivering those standards. To provide hands-on training, CARSTAR hosts EDGE Performance Group (EPG) meetings routinely at locations around the country. The fall EPG meeting was hosted at the Englewood Resort in Itasca, IL, on September 26 and 27, 2018. 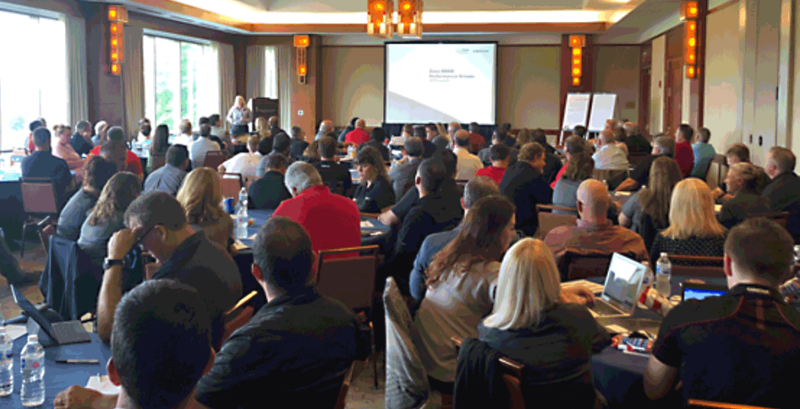 More than 75 CARSTAR stores and 100 franchise partners, managers and CARSTAR team members attended. The program included updates on quality control processes, discussion of the new CARSTAR quality audit, collaboration on best practices for scheduling, and financial reviews with a focus on business improvements. As part of the event, CARSTAR held a vendor reception with raffle prizes to raise funds benefitting the fight against cystic fibrosis. Vendor partners who supported the event included 3M, BASF, Axalta, Sherwin Williams, Evercoat, NCS, Matrix Wand, Team Safety and Garmat, who all helped CARSTAR raise over $1,300 for cystic fibrosis research, care, and advocacy. CARSTAR will announce the EDGE Performance Group meeting schedule for 2019 later this year.